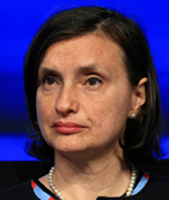 Deputy Chairman of Commissione Nazionale per le Società e la Borsa (CONSOB) since September, 2018 and Member since August, 2014. Born in Aci Catena (Catania) in 1965. • Full Professor of Commercial Law, at the University of Verona, since 2004. Previously Associate Professor of Commercial Law at the University of Catanzaro and Senior Research Fellow in Commercial Law at the same University. • From 1992 to 2005 frequently carried out research at Max Planck Institut of International and Foreign civil law – Hamburg; and also carried out research at the London School of Econimics and Political Science, in 2007. • From 1994 to 1998 law assistant for the “Autorità Garante della concorrenza e del Mercato” Rome. • Member of Giurì dell’Autodisciplina Pubblicitaria since 2011.